Denver, we’re here! 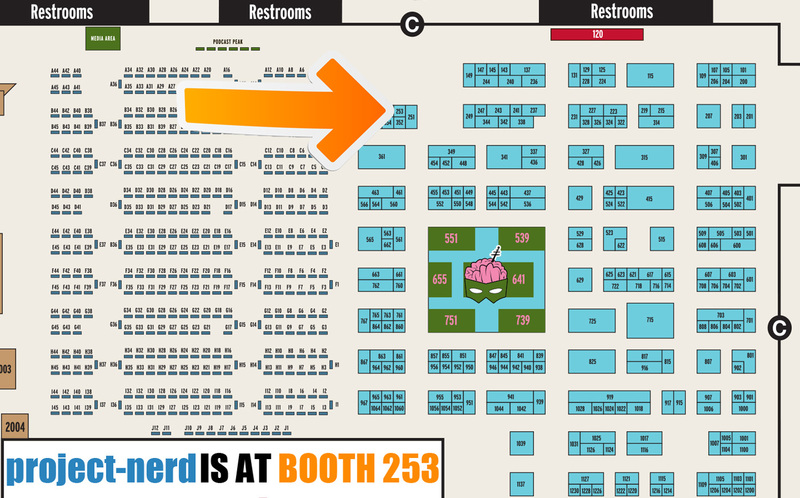 Project-Nerd is at Denver Comic Con this weekend ready for another exciting event. We’ve setup at Denver Comic Con for three years now, but this is the first time we’re setting up as a local brand. You can find us at booth 253, next to the convention exclusive booth and Artist Valley. At the booth you can chat with us about your experience, learn more about Project-Nerd, and even buy some ProNerd Gear. If you spot our famed blue shirts out on the floor, make sure you stop them for your chance to be in our cosplay galleries, cosplay music video, or even interviewed. Hope to see you this weekend Colorado geeks!